Not another diet panacea! Well, sort of. But calm down. Some diets, even weird and controversial ones, seem to work wonders for some — for whatever reason. One of those, a friend of ours, swears by what he’s read and practiced from this book ("it wholly eliminated years of gastro-intestinal, heartburn and fatigue problems), so we’re staying open. The Plant Paradox starts with the notion that gluten is just one variety of a common and toxic plant-based protein called lectin, and that, once ingested, lectins incite a kind of chemical warfare in our bodies, causing inflammatory reactions that can lead to weight gain and serious health conditions. Here's an excerpt — ‘toxic' food of thought. Quite simply, plants don’t want to be eaten—and who can blame them? Now here’s a shocker to start off your reeducation: the more fruit I removed from an individual’s diet, the healthier he or she became and the more his or her cholesterol numbers and markers for kidney function improved. The more I removed vegetables that have lots of seeds, such as cucumbers and squash, the better my patients felt, the more weight they lost, and the more their cholesterol levels improved! (By the way, any so-called vegetable that has seeds, such as a tomato, cucumber, or squash, and even string beans, is botanically a fruit.) Plus, the more shellfish and egg yolks the patients ate, the lower their cholesterol numbers. Yes, that’s correct. Eating shellfish and egg yolks dramatically reduces total cholesterol. As I said in the Introduction, forget everything you thought you knew was true. Plants appeared on land about 450 million years ago, long before the first insects arrived 90 million years later. 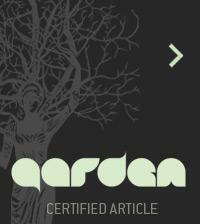 Until those plant predators turned up, it must have truly been a Garden of Eden for plants. There was no need to run, hide, or fight. They could grow and thrive in peace, unfettered in their production of the seeds that would become the next generation of their species. But when insects and other animals (and eventually our primate ancestors) arrived, it was game on. These species saw those tasty greens and seeds as dinner. And although plants don’t want to be eaten any more than you would, animals would seem to have the advantage, with wings and/or legs to propel them over to that grove of immobile greens to gobble them up. Nightshades in the vegetable market . . . desired and abundant. Not so fast. Plants have actually evolved an awesome array of defensive strategies to protect themselves, or at least their seeds, from animals of all shapes and sizes, including humans. Plants may use a variety of physical deterrents, such as color to blend into their surroundings; an unpleasant texture; sticky stuff such as resins and saps that entangle insects, provide protective cover by making sand or soil clump, or attract grit that makes them unpleasant to eat; or a simple reliance on a hard outer coating, such as a coconut, or spine-tipped leaves, such as an artichoke. To find out if the plant was aware of being eaten, scientists re-created the vibrations that a caterpillar makes as it eats the leaves. Did you know that a plant knows when it is being eaten? Well, as recent research reveals, it does, but it doesn’t just sit there and accept its fate. It deploys troops to defend itself, in an effort to stop the predator. In this case, the research subject was a plant called thale cress (Arabidopsis thaliana), a member of the cabbage family. Thale cress was the first plant to have its genome sequenced, so researchers have a better understanding of its inner workings than of most other plants. To find out if the plant was aware of being eaten, the scientists re-created the vibrations that a caterpillar makes as it eats the leaves. They also recorded other vibrations that the plant might experience, such as that of wind blowing. Sure enough, the cress responded to the vibrations that mimic a munching caterpillar by upping its production of mildly toxic mustard oils and delivering them to the leaves to deter predators. The plant showed no response to wind or other vibrations. Another example is the sensitive plant (Mimosa pudica), which is deserving of its name. It has learned to protect itself from being disturbed, which includes being eaten, by defensively folding its leaves in response to touch. In fact, the leaf-folding behavior is more pronounced and persistent when it grows in an area where it has been particularly subject to interference than when it grows in an undisturbed area. Whoa! Thinking, reasoning plants! This isn’t their first rodeo either. Plants also respond to circadian rhythms, just as humans and other animals do. In one study, researchers found that the so-called clock gene in plants determines the time of day a plant will produce an insecticide to coincide with the time a predator is likely to be on the prowl. When the researcher removed the clock gene from the plant, it lost its ability to produce the toxin. Finally, let’s focus on the plant chemical you had probably never heard of until you picked up this book: lectins. Yes, you are reading that word correctly. 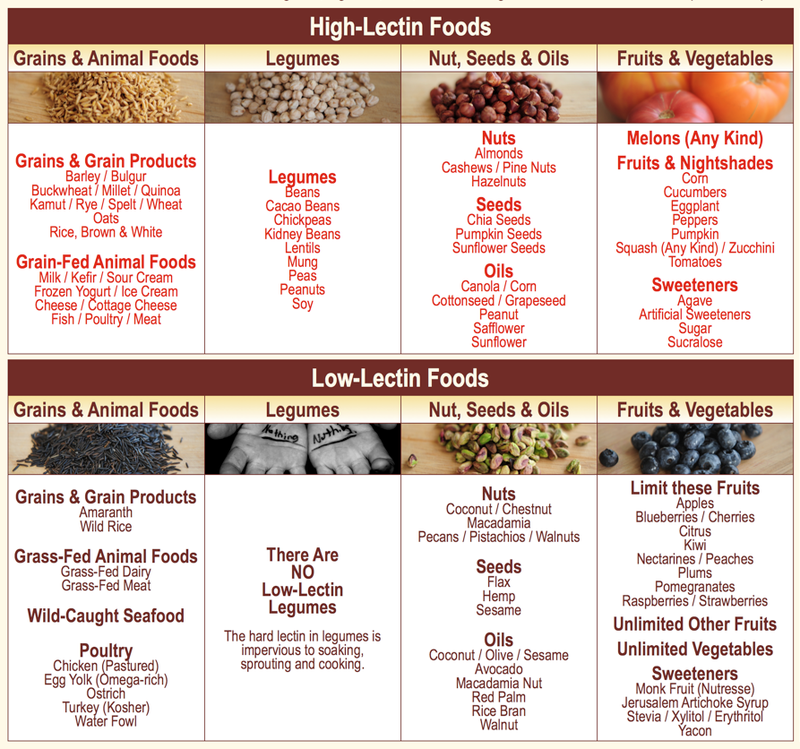 It is lectin, not lecithin (a fatty substance in a plant or animal) or leptin (the appetite-regulating hormone mentioned above). When bugs start eating leaves on one side of a plant, the lectin content doubles almost immediately on the other side, as the plant valiantly struggles to dissuade further consumption. As you’ll come to learn, lectins play a key role in the defensive strategies that plants use to protect themselves, and they also play a key role in harming us. Speaking of stomach acid, get this: Not only do we keep eating foods that are designed to hurt us, but we also feed them to animals in the food chain, which suffer similarly from their diet. Left to their own devices, cows would never consume corn and soybeans—their natural diet is grasses and other forage—but that is exactly what they are fed on industrial farms. The lectins in corn and soy are far more effective than grass in making the cow heavier and giving them a better ratio of fat. (That same corn and grain in processed foods bulk you up as well, as you will learn in chapter 5.) Both soy and corn are laden with lectins foreign to cows, causing them to develop such severe heartburn and pain in swallowing that they actually stop eating. Yes, cows develop heartburn from these lectins, just as you do. To keep their beasts eating more of this fattening food, farmers dose them with calcium carbonate, the active ingredient in Tums. In fact, half of the world’s production of this compound is added to cattle feed to stop the heartburn, ensuring that cows continue to eat their unnatural diet of corn and soybeans. There is now conclusive evidence that organically grown vegetables and fruits do contain more vitamins and minerals than conventionally grown produce, but, more important, they contain more polyphenols. (Without getting too technical, these beneficial plant chemicals are found in tea, coffee, fruits and berries, and some vegetables.) The same applies to eating pastured animal foods. But the implications of being what you eat (or what the thing you ate, ate) don’t stop there. The lectins in the grain and soy fed to conventionally raised animals end up in the flesh, milk, or eggs of these animals, and ultimately in your gut, where they can still work their damage. Even organic and so-called free-range animals contain these lectins because they, too, are fed soy and corn, albeit organic versions. (And by the way, it is perfectly legal to keep an animal inside a warehouse its entire life and call it free-range, as long as a door to the outside is open for a mere five minutes a day. Never mind that it is unlikely that any single bird packed cheek by jowl with thousands of other chickens ever manages to work its way to this door.) There is a vast difference in a burger (or milk or cheese) made from a cow that grazed on grass in the summer and ate hay in the winter and a burger made from an animal raised in a stockyard on lectin-rich corn and soy. To start, there’s the difference in the ratio of omega-3 to omega-6 fats. With certain exceptions, omega-6 fats are inflammatory and omega-3 fats are anti-inflammatory. Corn and soy contain primarily omega-6 fats, while grass is high in omega-3 fats. But there’s more to it than that. Remarkably, those same soybeans and grains make cows much fatter than do the equivalent number of calories in grass. This means that the source of calories plays an important role in how you metabolize them. Keep that in mind when we discuss weight gain. And compounding the issue, of course, is that in the United States, almost all soy and corn is also produced from genetically modified seed. We’ll delve further into the effects of consuming GMO foods in chapter 4. Half of my patients seek me out because they have failed to show improvement on other famous gut-healing regimens . . .
3. THE THIRD LINE OF DEFENSE is the bacteria in your mouth and gut (part of your microbiome), which have evolved to efficiently consume lectins before they have the opportunity to interact with the wall of your gut. The longer you have been eating particular plant lectins, the longer you have been producing gut bacteria specifically designed to defuse them. That’s why if you eliminate all gluten from your diet, the gluten-eating bugs die off; then when you do revert to eating gluten or eat something you don’t realize contains gluten, you cannot digest them, causing discomfort. The first mission of lectins is to pry apart what are called tight junctions between the cells in the mucosal wall lining your intestine. Believe it or not, the lining of your intestine is only one cell thick, while its surface area is equivalent to the size of a tennis court. Imagine that a wall just a single cell thick is responsible for manning this huge border. Your intestinal cells absorb vitamins, minerals, fats, sugars, and simple proteins, but not large proteins—and lectins are relatively large proteins. If all is well with your gut health and its mucous layers, lectins should not be able to squeeze past the mucosal cells. But if you ever engaged in the old playground game of red rover, think of how the big kids tried to pry your arms apart to break through the line. That’s exactly what happens when lectins attack your mucosal wall. The Plant Paradox Program is actually a microbiome- and mitochondria-centric program that recommends a diverse array of the right plant foods at the right time, prepared the right way, in the right amounts. By the time you have finished reading this book, you’ll know exactly which plant foods to eat, which to avoid, and how to prepare certain foods to mitigate the impact of lectins. But you won’t subsist on plants alone. 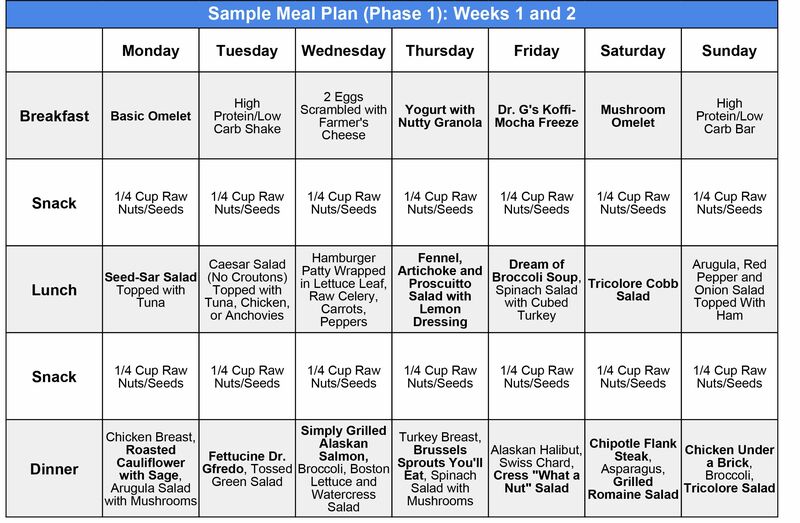 The source of most of the animal protein you’ll be eating is wild seafood, so I call this program a “vegaquarian” diet. STEVEN R. GUNDRY is s a former cardiac surgeon and currently runs his own clinic investigating the impact of diet on health. Gundry conducted cardiology research in the 1990s and was a pioneer in infant heart transplant surgery. He is the founder and Director of the Centre for Restorative Medicine in Palm Springs, California. I won't go into all of the foods, but kefir, sour milk and other dairy products are related to very long lifespans around the world. Lectins are probably only harmful under certain digestive conditions. Tomatoes are excellent for the male prostate. To condemn an entire class of foods without researching how they react in the gut when mixed with other foods isn't real science. When you eat grains along with beans, you get protein. Otherwise, you don't get protein from eating each separately. Apples, which are excellent for many reasons, have lectin, but do much more good than any amount of harm.